The Literary Diva has at her disposal a tremendous wealth of knowledge — starting with her own. She is savvy, smart and successful. If this sounds like you, then what are you going to do with what you know? It’s great to sit around talking about all that you know with your friends, but why not share that information with strangers who would pay? Consider where your knowledge lies. Do you need to write a book to share a new way of doing business? What about a book that uses what you know to help others deal with trying or difficult situations? Is there a unique understanding that you bring which you can now use to empower others on the way to their dreams? Writing is powerful, as any Literary Diva knows. When you’re considering how you can share what you know in a meaningful way, use the power of the pen to create a lasting project that can stand the test of time. Be creative. That means coming up with new ways to address old problems. It means writing your nonfiction book with your potential reader in mind — and not just writing based on what you want. When you write with the reader in mind, that forces you to study your market and produce what that market wants. And that’s a way to help you create a true impact, stemming from what you know. Your knowledge truly is your wealth. So turn what you know into a marketable book so others can learn from what you have to say. In my latest book, Zoom Power: Your Key to Hitting Your Personal, Business and Financial Targets, I share tools, tips and strategies to help people create success in their everyday lives. I wrote what I knew from my own experiences as a successful business owner, journalist, author and speaker, but I also interviewed others who have had success in their fields so they could speak to my readers. As a former journalist, I relied on the skills I gained as a newspaper reporter to research and interview. Using what I know has been an awesome way to touch the lives of others. I’ve been able to conduct workshops, give keynote speeches, mentor and coach, all because I decided to be creative about what I know so I can help others. What about you? What do you know that people would pay to learn? Who’s afraid of the big bad editor? Every writer with the dream of having their stories read by the masses must first play joker to royalty’s throne. In this case, royalty is the elusive editors and agents we try to impress with our ideas. Earlier this month I attended a local writers’ conference, where I sat in luncheons, dinners and mixers with published and wanna-be published writers. In that creative crowd lurked the editors and agents from popular publishing houses and literary agencies looking to discover the next literary money-maker. -Don’t stalk your dream editor or agent during the conference. – Don’t waste their time if you don’t have a finished work to pitch. – Don’t corner them in the restroom with a copy of your manuscript. -Don’t be nervous even though these demi-gods hold the future of your literary career in their grasp. – Do expect editors and agents to find any reason to say no, because they are busy people. – Do your research and be professional. While I admit, I did hold fast to most of these rules, I must note that this list is not all inclusive of the rhetoric that was flowing that weekend. I half-heartily prepared my pitch while I watched other writers fret over their upcoming appointments. Since it was my first conference, I attended workshops and just set out to enjoy the experience. I went to an editor/agent panel where I was finally able to put an editor’s name with her face. It was another hour of writer do’s and don’ts in prep for the upcoming appointments. After another series of workshops it was time for lunch, where the nearly 250 attendees were seated according to their interests in various genres. I joined the table for Women’s Fiction which only had two seats left and began to stuff myself with resort quality food. Once my plate was clean, I turned my chair around to listen to the keynote speaker, romance novelist Carly Phillips. A short time later, I felt a presence fill the seat next to me. It was one of the editors, not just any editor, but the editor I was to meet later in the day. I sat back and watched the other table mates bombard her with questions while her lunch just sat there barely eaten. I waited while the lady who sat on the other side of the editor went on and on about how smart she was for drinking from a reusable water bottle instead of the disposable water bottle I was using. I wasn’t sure if that was the most marketable trait for a writer, I let her babble without interruption. When it was time for her to leave, I was the last one sitting with the editor. Instead of bowling her over with the premise of my story I asked her questions about herself. Then I informed her that I had an appointment with her later but for that moment I would leave her to finish her lunch in peace. She seemed surprised and grateful for the chance at a little solitude. At a writers’ conference, it is the editors, agents and renowned published authors who are the celebrities, because they are where we dream to be or they are the ticket to get us there . Having the opportunity to practice my networking skills and chat with the editor ahead of time really took the edge off when it was time for my appointment. Twenty minutes before, I fine-tuned my pitch and watched while the others studied their notes and paced. When it was time, we entered the meeting room which was set-up like a speed-dating session. I had ten minutes to sell my idea and find out what the editor was looking for. I talked so fast, I had time left and that gave the editor a chance to ask questions. We had a good exchange and by the time the bell signaled that the appointment was over, I had a request for a sample. Later that night, I found out many who had appointments received valuable feedback and/or requests for writing samples. The proof of how successful these appointments were will be in how many actually follow-up and send the requests and how many of those will be offered a publishing contract if any. The one thing I’ve learned in this experience that can be useful in any endeavor is the importance of increasing the opportunities that support your dreams. In the end, it’s not one single shot that can make or break your dreams, but the culmination of chances and how we use them that help us transform our dreams into reality. Are you a dream killer or dream builder? Have you ever thought you had the million dollar idea? Once you implemented it, you would change the world and become filthy rich. Then you happened to tell a close friend about the idea, only to be told that it wouldn’t work. The high you felt when you thought about the idea banished. What happened? You met a dream killer. Your friend consciously or unconsciously sabotaged your idea based on his or her own belief system. Not all people intentionally try to destroy your dream; most will have your best interest at heart. They may be looking at the time, money and effort it takes to make it happen. Good advice is priceless and practical; however, we must remember that our dreams are gifts from the Divine. So before you go tossing a dream out based on someone else’s knowledge and advice, you might want to consider doing this simple but powerful exercise: Sit on it for awhile, and I don’t mean forever; write down the pros and cons; and ask yourself do you have the passion for it. Once you have answered the above questions then share your idea, if you are seeking support for it and not validation. The next time someone shares a dream or idea with you, don’t shoot it down. Praise the idea and suggest that the person do the above exercise. This way you won’t be a dream killer; you will be a dream builder. Don’t Let a Setback or Disappointment Stop You. I was disappointed last week when Barack Obama didn’t win the New Hampshire primary. It became personal. I spent a lot of time on the phone and net with family, friends and other Obama supporters trying to figure out what went wrong. I was stressed. Meditating is my way to debunk the stress and to get answers from a Higher Source. I wasn’t finding peace from those stimulating conversations. Besides the campaign was just getting started and I needed to get grounded in my truths and not buy into all the combative energy of the campaign. Obama stated that the lost of the primary was more valuable at this time in the campaign, because it taught him that America was not going to hand him the nomination, he had to work for it. And that’s the truth. You have to work for whatever you desire. As a writer, I have received many rejection letters and critical reviews of my work. I didn’t give up. I realized I had to work for it and not give up based on someone else’s perspective. I did what Les Brown said: Anytime you suffer a setback or disappointment, put your head down and plow ahead. I plowed ahead and I am now a published author. Setbacks and hurdles are put in our path as lessons. They teach us strength, perseverance, concentration, self-improvement, and humility. It’s not always about the outcome, but about the effort you put forth. Your job is to give it your best and leave the rest to God. For all those with goals and dreams put your head down and plow ahead. JJ Michael is an intuitive numerologist and author of Life is Never as It Seems, It’s Not Over Yet and the Path to Truth. 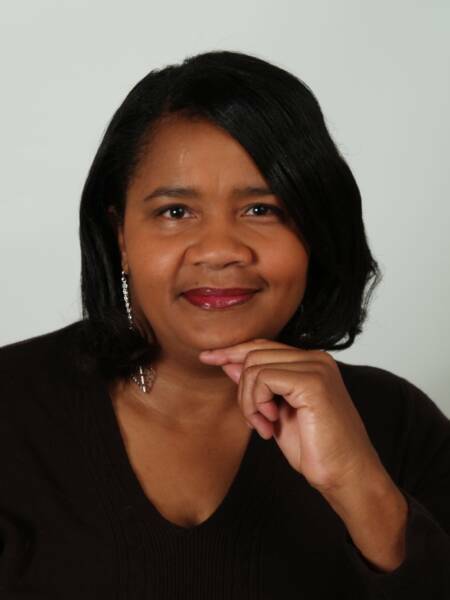 She is also the editor of Path2truth ezine that promotes self-realization and world peace.